James Ellis has launched a brand new children’s age range covering ages 1-6 by talented illustrator, Ailie Busby, who has been illustrating children’s books for more than 15 years and has had work published all over the world. 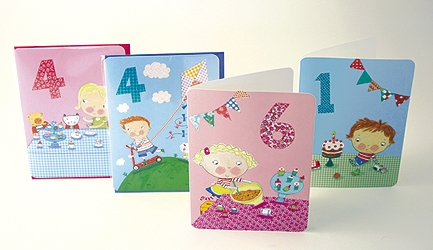 The range of glittered children's age cards with curved corners, are all beautifully individually wrapped with pink and blue envelopes. 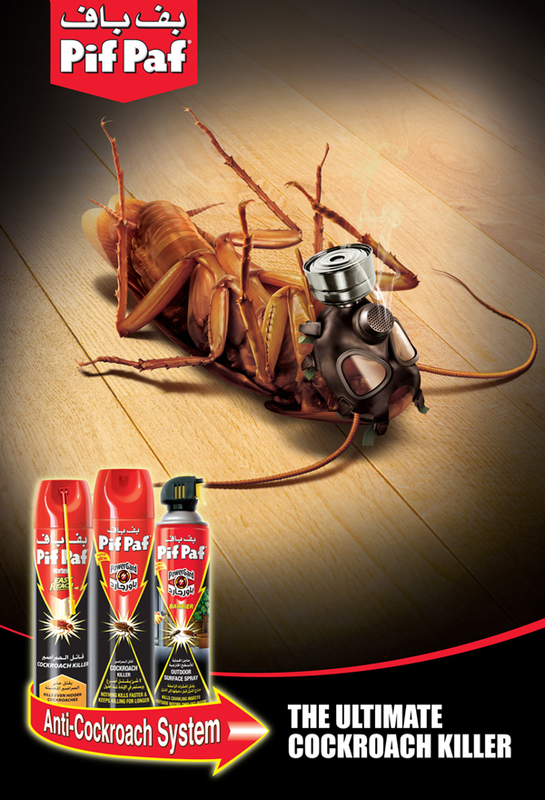 The Red Dress ramped up the horror on this latest poster campaign for Phones 4U. They were asked by Adam & Eve to create a series of B-movie style posters, and comic strips, to sit alongside their current zombie themed TV ads. ArnO has been working on these brilliant covers for the Gregory Maguire saga. 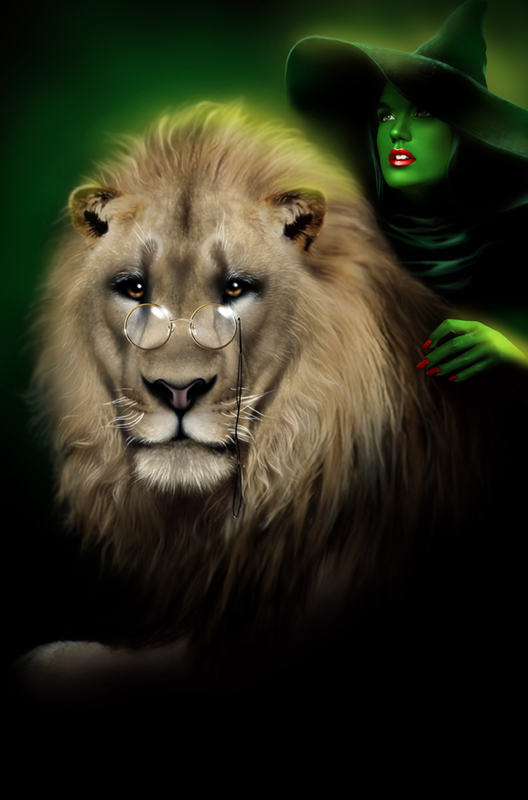 The titles shown here, ‘Son of a Witch’ and ‘A Lion Amongst Men’ are follow ups to the first novel, ‘Wicked’, made famous since it’s adaptation into a Broadway musical. Melvyn Grant is an artist whose work has been held with the highest esteem for many years! 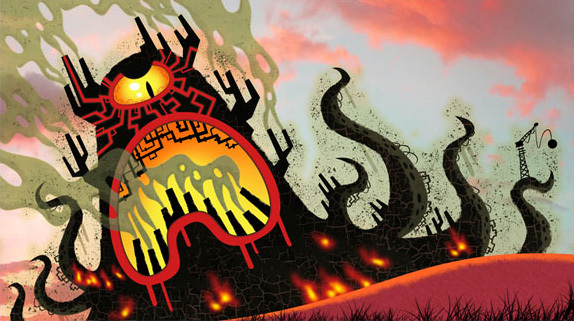 Recently he was awarded a special prize for illustration by the Spanish Association Comic Con in Malaga, Spain. He was asked to attend as a guest of honour at the ceremony and awarded a prize as well as being voted best illustrator! Melvyn always attracts an eclectic audience of fans as he has always worked in various genres of illustration – Children’s Books (covers and interiors). Terry Pratchett’s Picture Book and Calendars, Fantasy covers and Horror books, and his other identity as a much coveted album cover artist. 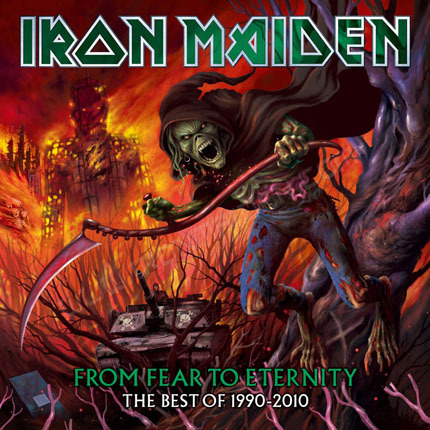 Melvyn is the artist behind at least three of the most recent album covers for the world’s biggest heavy metal band *Iron Maiden* he has also acquired a huge fan base because of it, who enjoy following his work with ever increasing enthusiasm. Quite recently Melvyn was asked to be involved in supplying the model Erin O’Connor with some prints of his work for her own MODEL SANCTUARY in Covent Garden ! Melvyn is also the cover artist behind many of the popular book covers by the author Darren Shan. Wikipedia lists him many times over, with lots of interviews and links to his work if you want to find out more ! 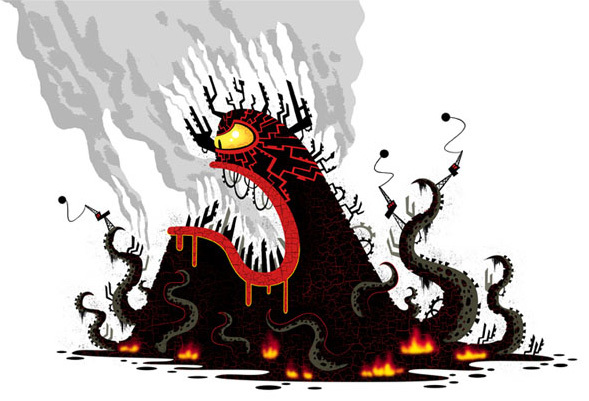 Chris Garbutt created these Pollution Monsters for a pitch for a Honda commercial, commissioned by Passion Pictures. 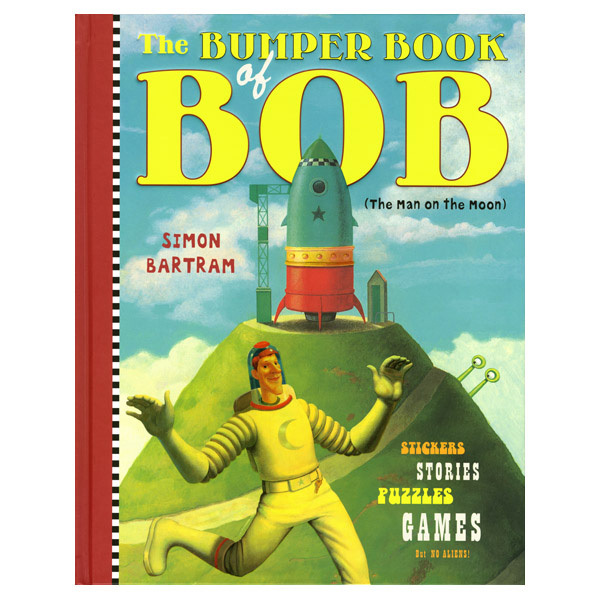 Fans of Bob, The Man on the Moon, by Simon Bartram will be delighted to hear that The Bumper Book of Bob has just been published by Templar - just in time for Christmas. This book contains all things Bob! 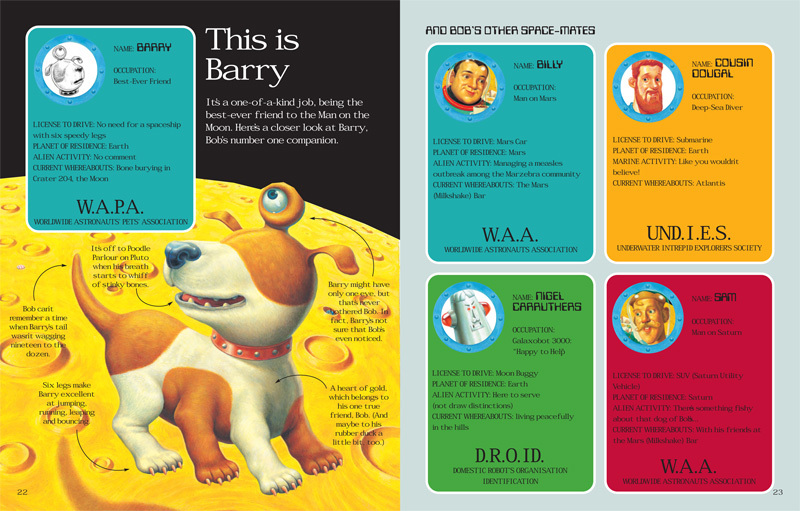 Read a Bob ballad, a mini Lunar Adventure and fascinating facts about Bob’s friends and enemies. 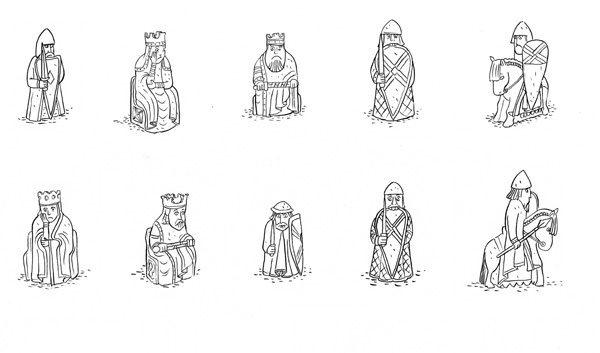 It’s also bursting with pictures to colour in, sticker scenes to make up and a variety of puzzles to solve. If that not enough, why not try out Bob’s recipe for his cherry buns, famous across the galaxy! 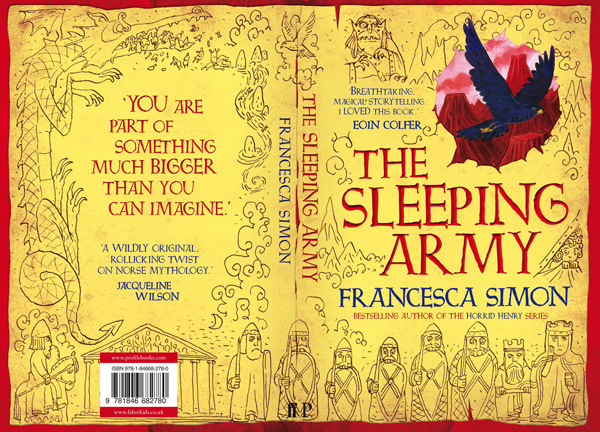 Adam Stower has illustrated Francesca Simon's new book, The Sleeping Army published by Faber & Faber. A story about Freya, who lives in modern Britain with a twist: people still worship the old Viking gods. Stuck with her dad on his night shift at the British Museum, Freya is drawn to the Lewis Chessmen and Heimdall’s Horn. Unable to resist, she blows the horn waking four chess pieces from their enchantment. Summoned to Asgard, they are ordered on a perilous mission. 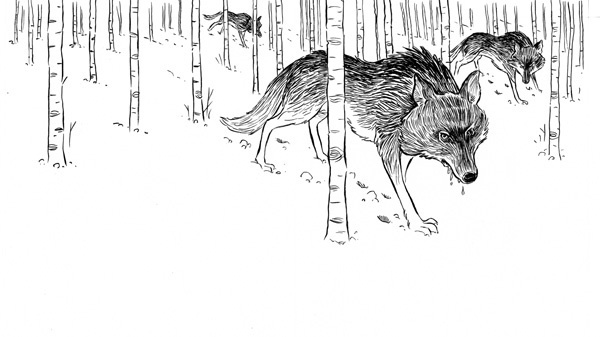 Here’s a selection of Adam's delightful interior illustrations as well as the hardback cover. 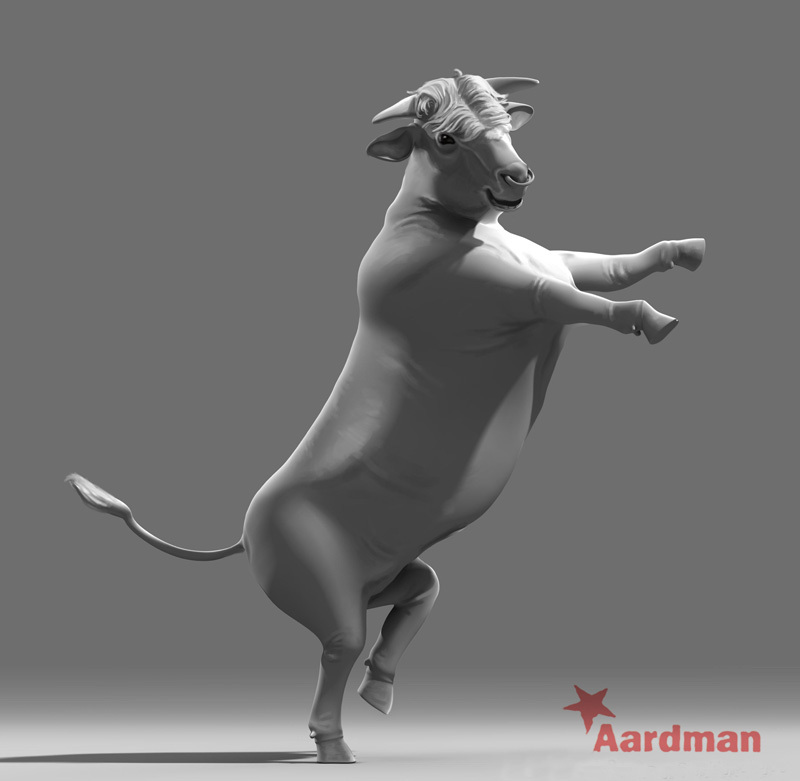 Fred Gambino recently worked with Aardman Animations to develop the dancing bull character for the Colman's Instant Beef Gravy TV commercial. It was quite a challenging brief to give the character the personality of a hot, steamy, hunky, male Latin-American dancer stuck inside the body of a real bull! 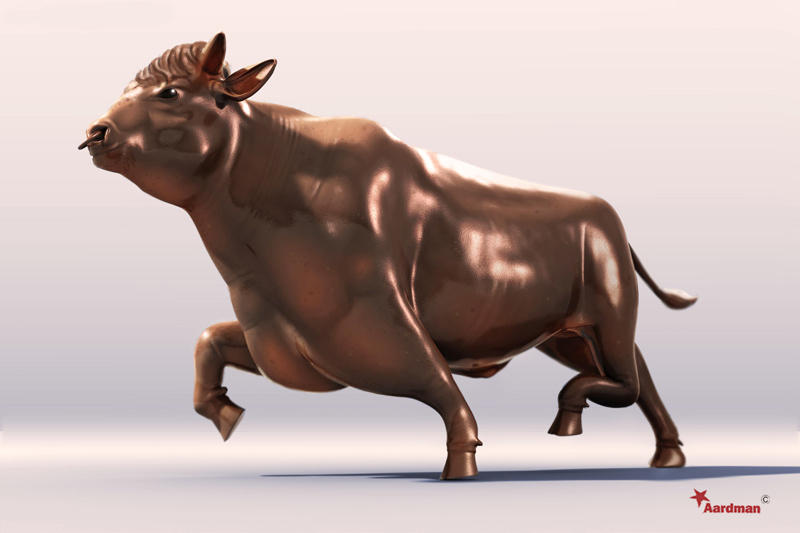 Fred had to create the bull in several poses including Moon-walking and the Running Man. 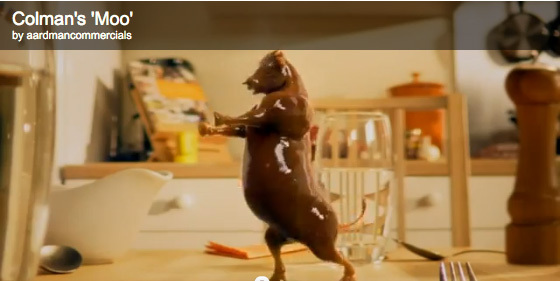 He rendered each pose using 3D software, Aardman then added texture and lighting to the digital model and returned it to Fred to add the special 'gravy' render. 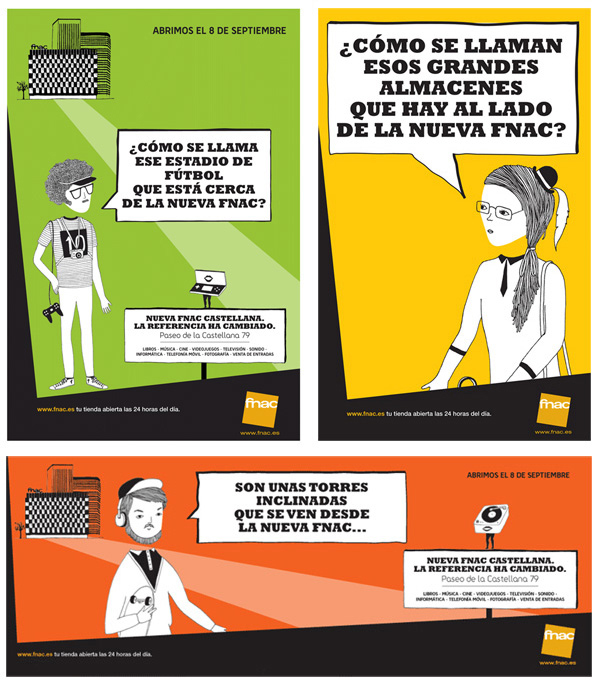 Cristina Guitian was commissioned to create the artwork for the launch of the entertainment retail chain FNAC’s new Madrid Store. Cristina was chosen for her unique character designs, which were used across various platforms including a poster campaign across Madrid’s Metro system.